Does well with my acne prone skin. Comes in lots of skin tones. I have tried many foundations from maybelline to Estée Lauder. I love a longwearing foundation and this is exactly that. It comes in many colors and even comes in 2 different skin types. This is the only foundation I will use! This doesn't cause me to break out and it doesn't leave my face feeling greasy! This foundation is fantastic. It spreads evenly, and they have a very good color selection. It works best with smooth and moisturized skin. I'd recommend waxing your lips before using. My skin tone looks even and smooth. Makes my skin glow! Wonderful product! Breaks me out but I cannot resist. This is such a great foundation from the drugstore. Sadly, it breaks me out pretty badly but I use it on very few special occasions because it looks great. The color that I have fits me absolutely perfectly and there is no line of color difference between my face and neck. It is a really heavy coverage and covers all my blemishes including cystic acne (even though it seems to cause more, which is why I cannot use this much). It smooths out my wrinkles on my forehead and makes them not as out there. It is a little matte but not too much. This stays on for hours and hours without budging. I set it with a powder just in case, but it is not really necessary unless I'm sweating or it is humid out. It is very thick and can get cakey if you don't blend it in well. It comes in a glass bottle which is a little hard to work with because you have to pour it out, and I usually end up wasting a bunch of product. I usually breakout especially that time of the month and I get bad acne scars after that are impossible to cover. I have dark circles that I can't get rid of so I try my best to cover them. 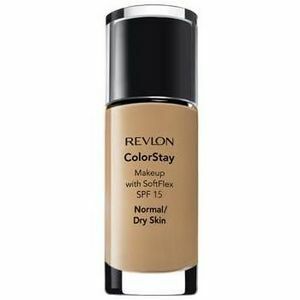 I had a coupon for any Revlon product so I seen this Revlon Colorstay makeup with SoftFlex SPF 15 and bought it in the shade medium beige and it was perfect. It matched my normal skin color and it blended in very well. It absorbed quickly and it didn't make my face oily. It went on smoothly and gave me full coverage. It covered all of my imperfections, my face looked so clear. My face felt soft and it looked natural. Everytime I get a pimple I cover it up with this foundation and you can't even tell its there. It was a little heavy but it gave me amazing results so I didn't mind. I would definitely buy this foundation again, it was affordable and I can always get it at most drugstores. I would recommend this to anybody who wants there face to look clear from all dark spots and scars. I purchased this foundation after hearing all of my friends rave about it. After trying my sister's bottle, I fell in love instantly. It leaves my skin looking flawless and perfect. My skin is very acne-prone and has many bumps but this product seemed to create the illusion that I had model skin. After going out for a night of partying, the foundation stayed on my skin looking beautiful and perfectly blended. The foundation is true to its name and clings onto skin for hours without budging. The only problem I have encountered while using the foundation is that if you use too much of it, it leaves you with caked skin. The best way to remove it would be to use a good makeup remover wipe or face wash. Overall, it is a very amazing and durable product and I would 100% recommend it to anyone looking for a new foundation. I will never buy another foundation that isn't this one. Great foundation for cover ups. Revlon ColorStay Makeup with SoftFlex is a great foundation for cover ups like acne and blemishes. I like this foundation yet I think it is a bit heavy. I use this foundation when my skin is just having one of those bad days or weeks. 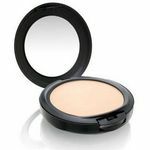 I love Revlon ColorStay Makeup with SoftFlex for days that I have a breakout or having acne issues. 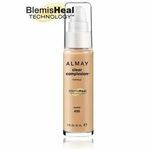 This foundation does last all day so no need to keep applying more or to keep applying a foundation powder to your face. It is very easy to apply. Instead of using sponges and brushes I always use my hands and then use a hair dryer to dry it before applying any other makeup. Revlon ColorStay Makeup with SoftFlex last thru sweat, so if you wear makeup to the gym, are cleaning house, or just naturally sweat a lot this would be a great foundation for you to use. 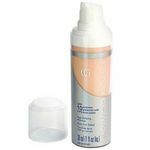 I will continue use of this product during acne and blemish day other than that I would not use a liquid foundation. Revlon's ColorStay Makeup with SoftFlex is a pretty good buy if you're looking for drugstore makeup. I bought this when I was traveling and forgot my foundation. The texture is a little watery compared to other foundations I've used and the coverage is medium to light. The foundation feels very smooth on application. My skin is very oily, so by the end of the day, most of this makeup had disappeared. With retouches throughout the day, however, this foundation gives your skin a nice, natural, radiant complexion. This foundation is nearly perfect in my book! It's impressive staying power, great coverage, and natural finish earn this product a 9. I have mostly normal skin that can get a tad oily throughout the day. This foundation is one of the only ones I've tried that stays all day on me. I can get almost 12 hours of wear out of this foundation. However, if you do have blemishes, this product will not cover them for that long. I definitely suggest wearing a concealer if you want your spots to be covered all day. 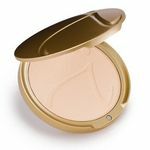 My favorite thing about this product is that has a lovely natural-dewy finish. The ColorStay comes in two formulas, 'Combination/Oily' and 'Normal/Dry'. Unless you have the most extremely of oily skin, I'd suggest choosing the 'Normal/Dry' formula as it gives a natural, pretty finish. The 'Combination/Oily' formula is super matte and doesn't look natural at all. This foundation does lose a point, however, because it doesn't have a light enough shade for my fair, yellow-toned skin.